Mario's Restaurant in Quezon City and Baguio City offers some delectable dishes for the Lenten Season. These seafood choices begins with Seafood Salpicao that has fat juicy prawns, blue marlin and squid sauteed in olive oil with tons of garlic. Yum! 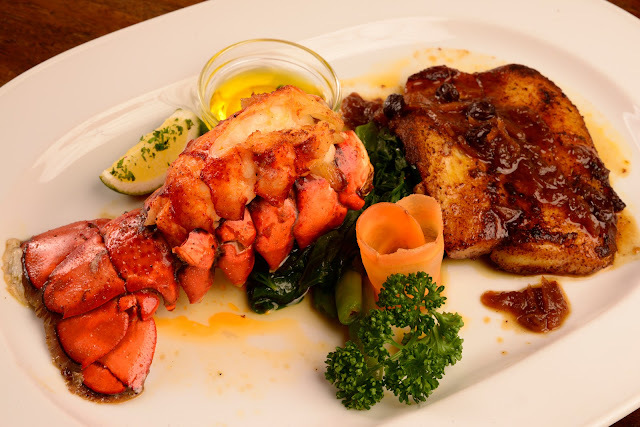 There's also a Lobster and Blackened Fish Fillet dish that comes with a serving of mango chutney. Another wonderful creation is Laman Dagat, a soup dish with Ulo ng Salmon, Baby Prawns and Clams. Really delicious take on everyone's favorite sinigang. Other choices include: Grilled Prawns, Grilled Salmon, Prawns Thermidor, Chilean Sea Bass, Bacalao ala Vizcaina, and Paella Marinera. Mario's Restaurant has long been known to serve authentic Spanish dishes for the past 45 years and is a popular restaurant destination. Aside from a la carte dishes, Mario's also has a Special Lunch Buffet spread every Sunday that is perfect for the family and for special celebrations.